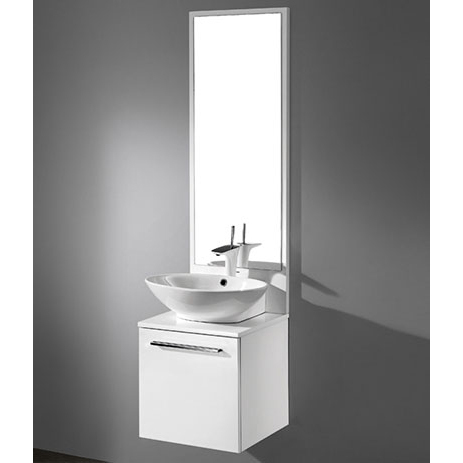 Elegant in its utter simplicity, the wall-mount Alassio Collectionoffers you modern functionality at its best. Available in your choice of the highest quality, polyurethane-protected deep Espresso or Glossy White finish, it's paired with a brilliant white ceramic basin. Crowning the design, you'll find the sleek, polished chrome handle as much decorative as it is functional. And the compact wall hung design, complete with attached mirror and spacious, soft-closing cabinet door, makes it ideal for smaller baths and powder rooms.